Millicent Sowerby (1878-1967) grew up in an artistic family. Her father, J.G. - a member of the Sowerby glassmaking dynasty - was a designer and illustrator and a member of the Aesthetic Movement. She illustrated many books as a team with her sister Githa, a writer. 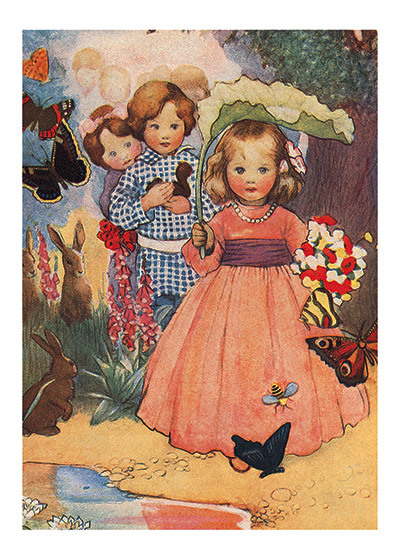 Her illustrations of children and fairies have a unique sweetness, as in this lovely painting of children playing in an idealized garden.